↑ Shift + Ctrl + . CoffeeCup HTML Editor is an HTML editor, originally written by Nicholas Longo and Kevin Jurica. 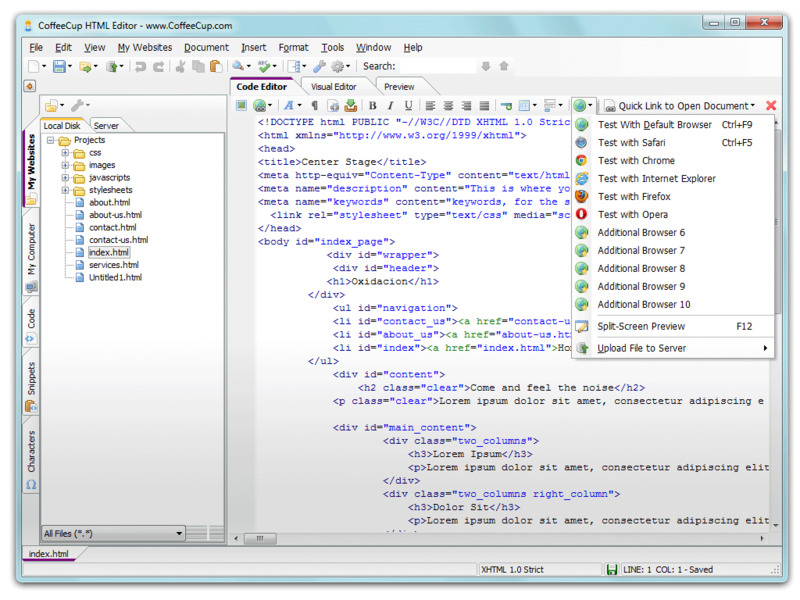 Until version 12.5 released in 2012, it was also capable of WYSIWYG editing. What is your favorite CoffeeCup HTML Editor hotkey? Do you have any useful tips for program? Let other users know below.